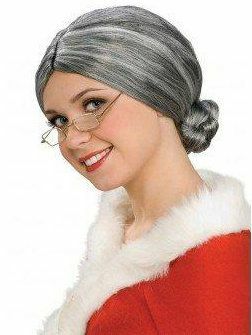 The Deluxe Old Lady Wig features silvery gray hair pulled tightly back into a bun at the nape of the neck. One Size fits most adults. Glasses sold separately.